... 1958, in Santa Fe province in Argentina, Liliana Bodoc (left) was born. (credit) For many years simply a university instructor in Spanish and Argentine literature, in her early 40s she published her 1st novel, Los días del venado (Days of the Stag). Thus began "an epic fantasy trilogy," a bestseller and winner of many awards. 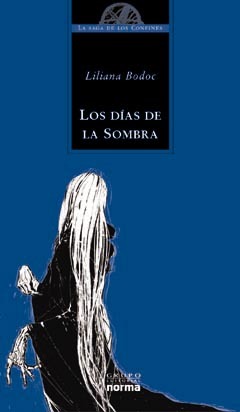 (credit for image of cover of trilogy's 2d book) Bodoc continues to write, to be published in multiple languages, and to lecture at literary festivals throughout the world.